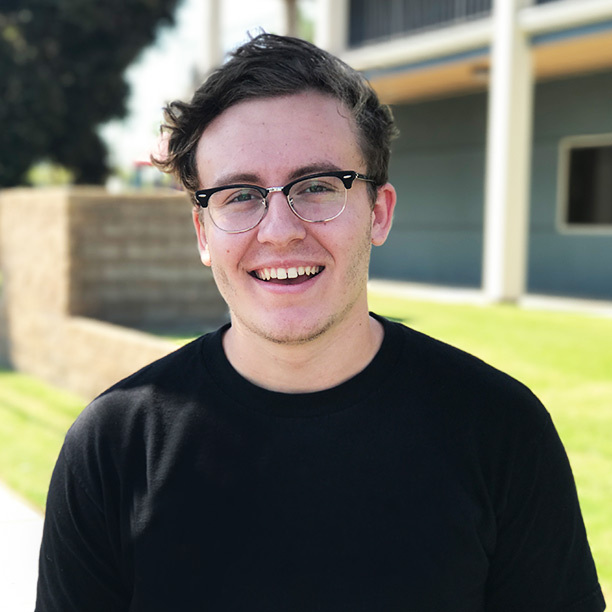 Calvary Church Middle School Ministry is a community where we CONNECT with God and others to GROW in our faith so we REACH Orange County and the world for Jesus Christ. 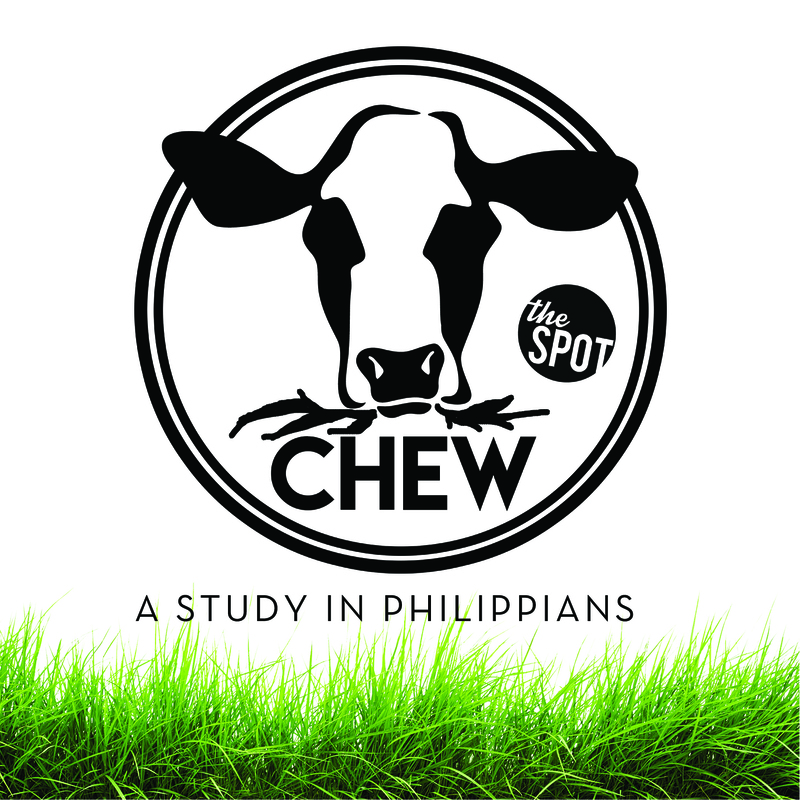 Chew: Philippians To meditate on God's Word is to be like a cow chewing it's cud. 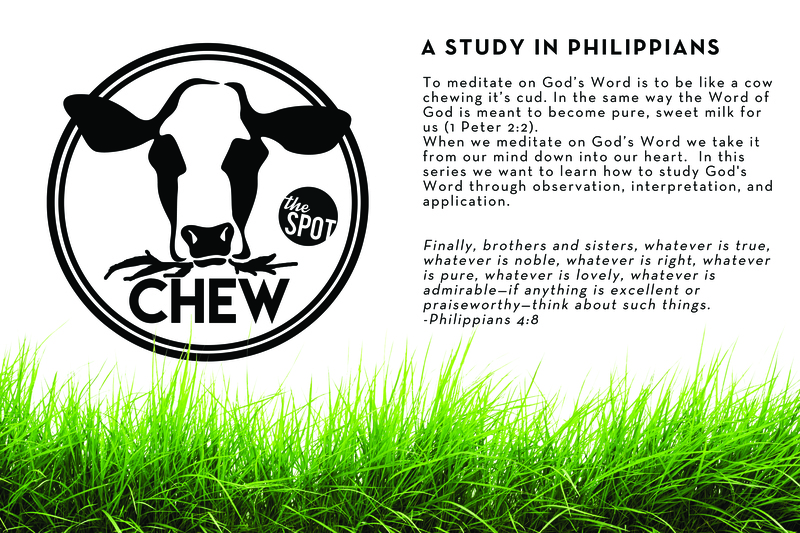 In the same way the Word of God is meant to become pure, sweet milk for us (1 Peter 2:2). When we meditate on God's Word we take it from our mind down into our heart. 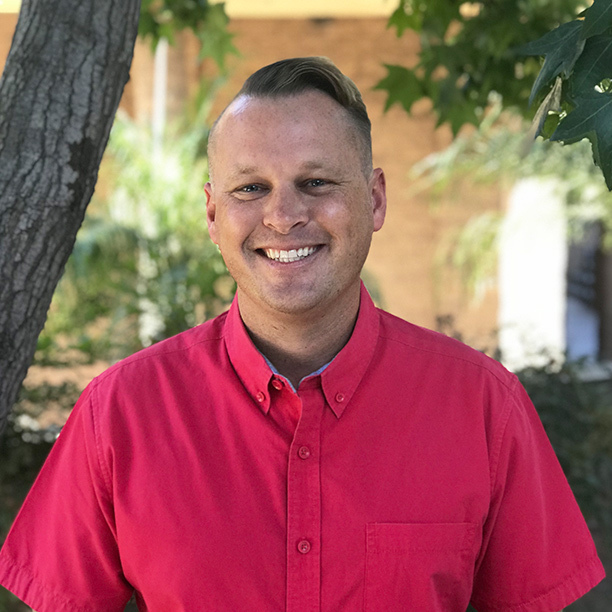 In this series we want to learn how to study God's Word through observation, interpretation and application. 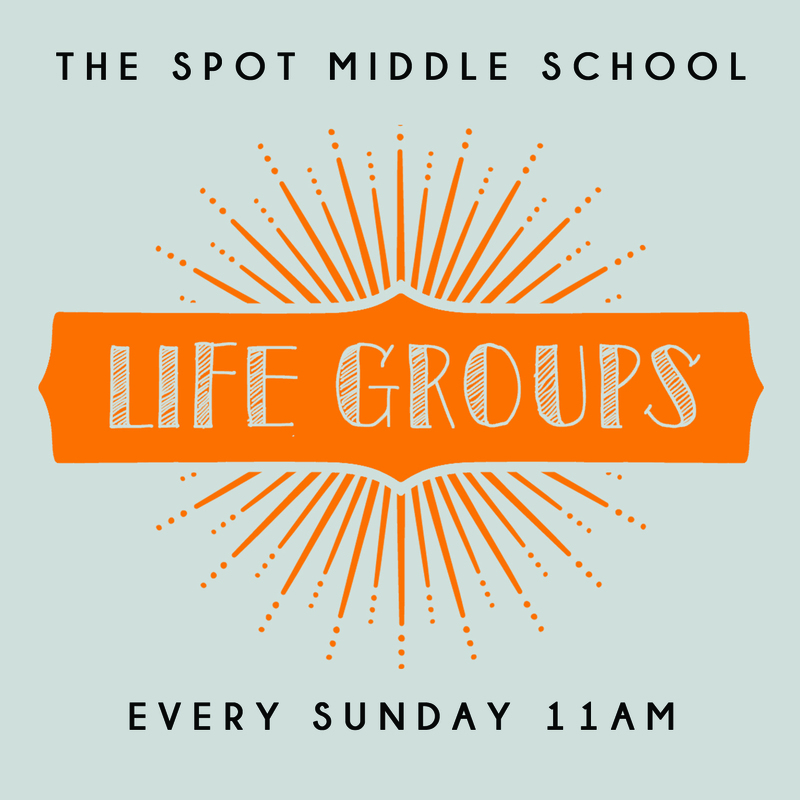 This is the place where Middle School Students will connect with God and others and grow in their faith. 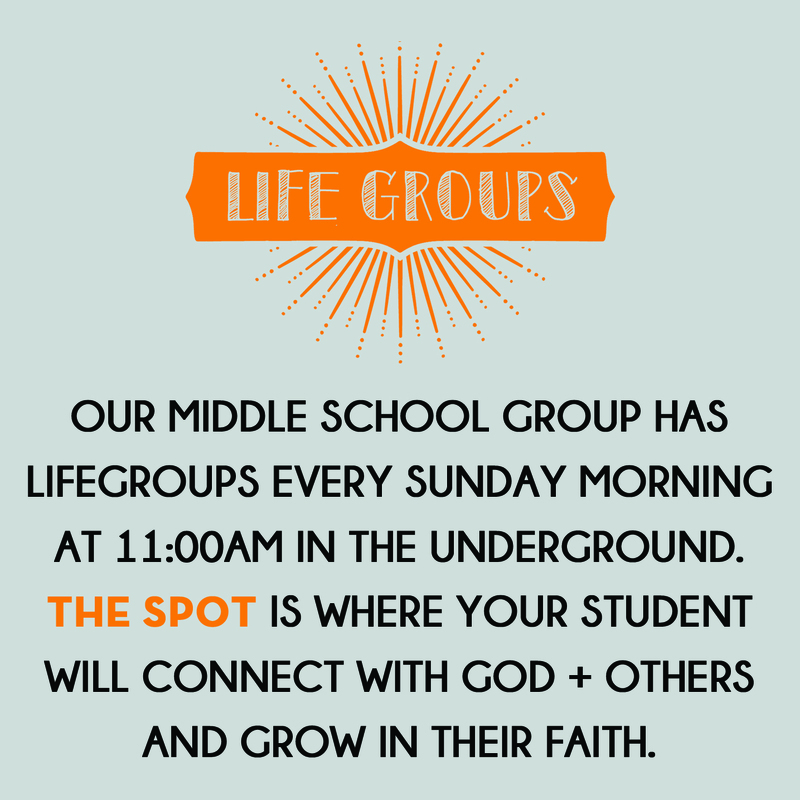 Every student is placed in a LifeGroup based on their gender and grade level with an amazing leader! 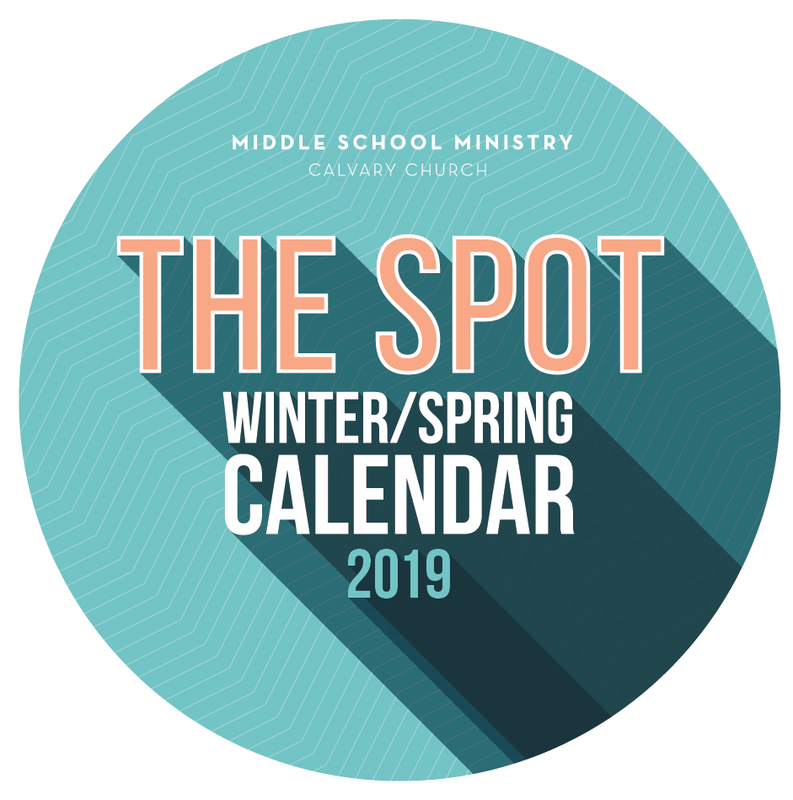 Check out what's coming this Winter / Spring! 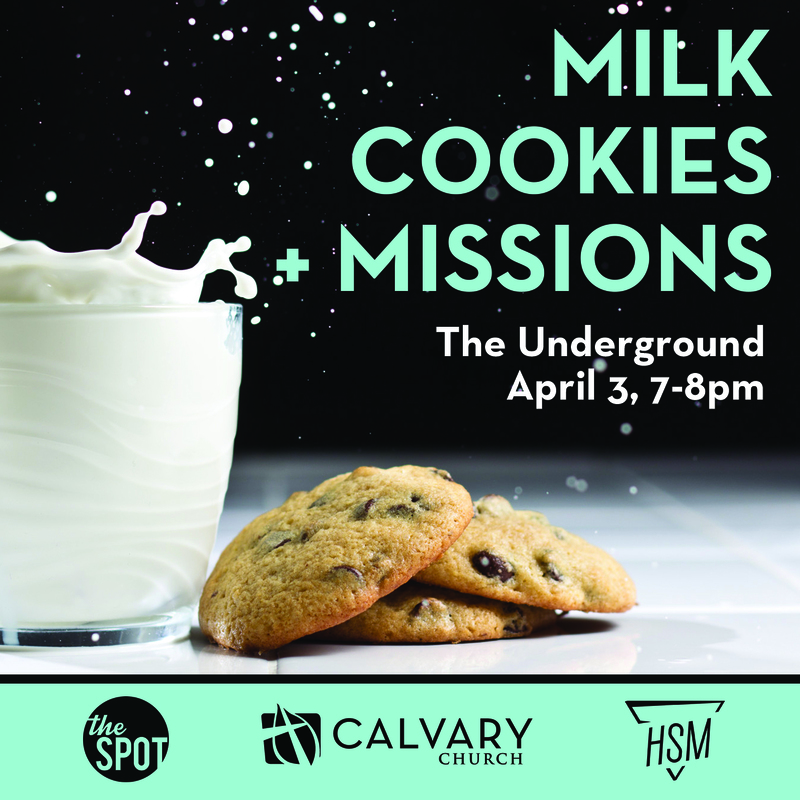 Join The Spot and HSM for a night of milk, cookies + missions! 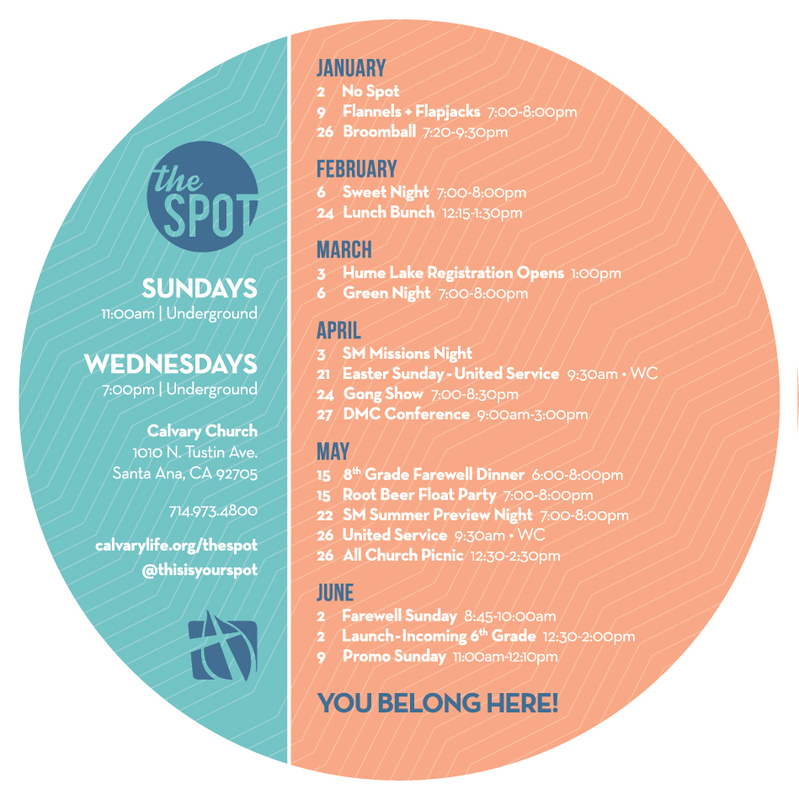 We will be talking about what God is doing "Across the Street & Around the World" and how we can be a part of it! 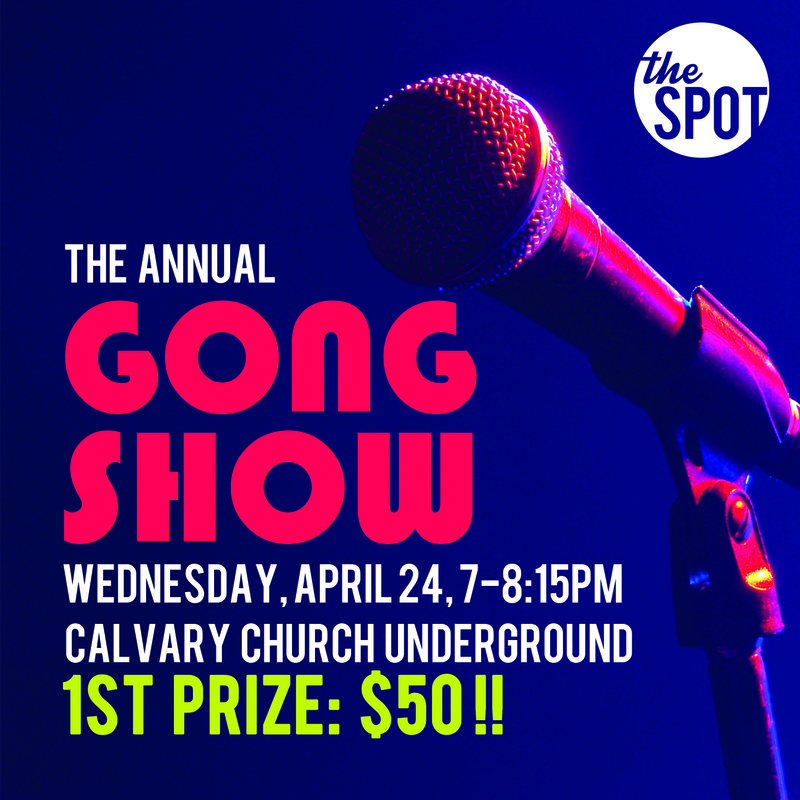 Join The Spot for our annual Gong Show. Strut your skills and talents for a chance to win $50 cash! Don't miss this super fun night! 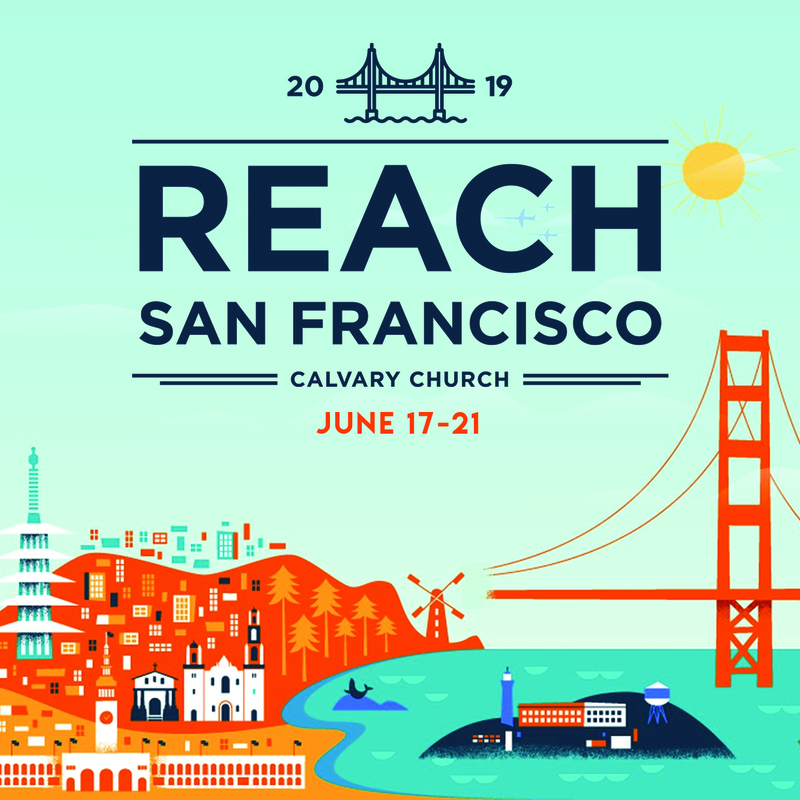 Join our team on a week-long Reach Trip serving the people of San Francisco. 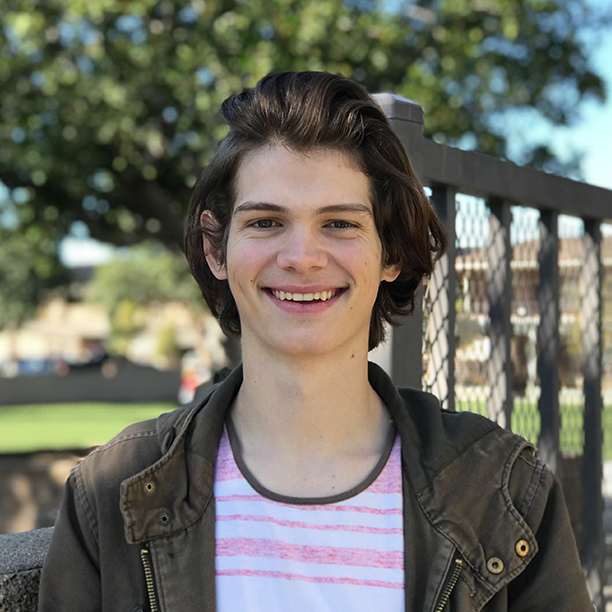 We will be flying to the Bay Area to do a variety of service projects with CSM (Center for Student Missions). 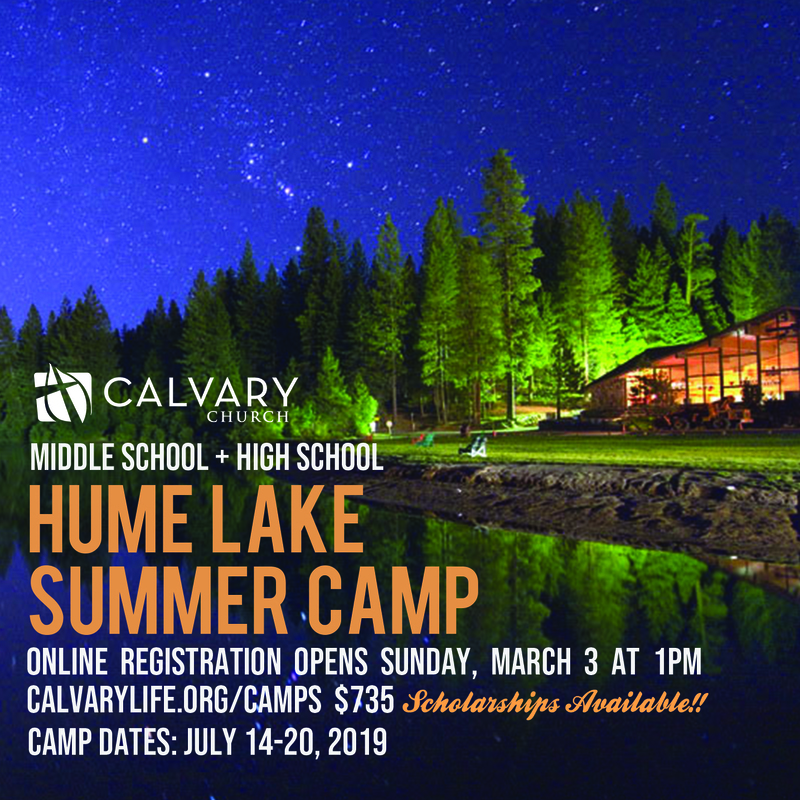 This trip is for students who are mature, responsible and have a heart to serve others in the name of Jesus. 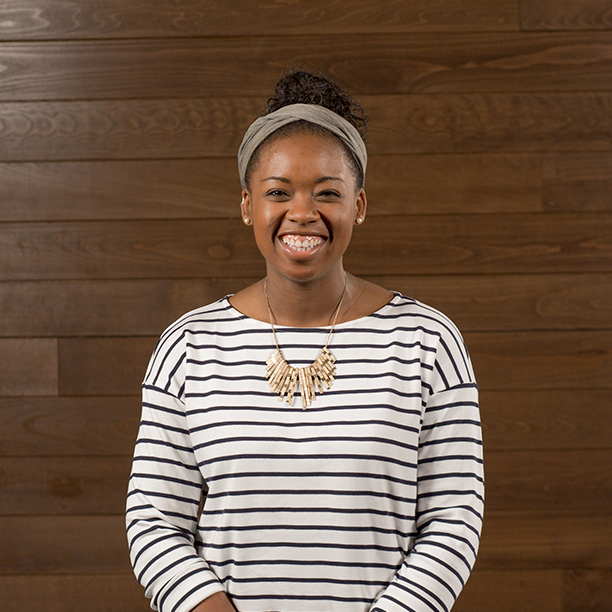 Space is limited, so pick up an application soon!